Figure 16. 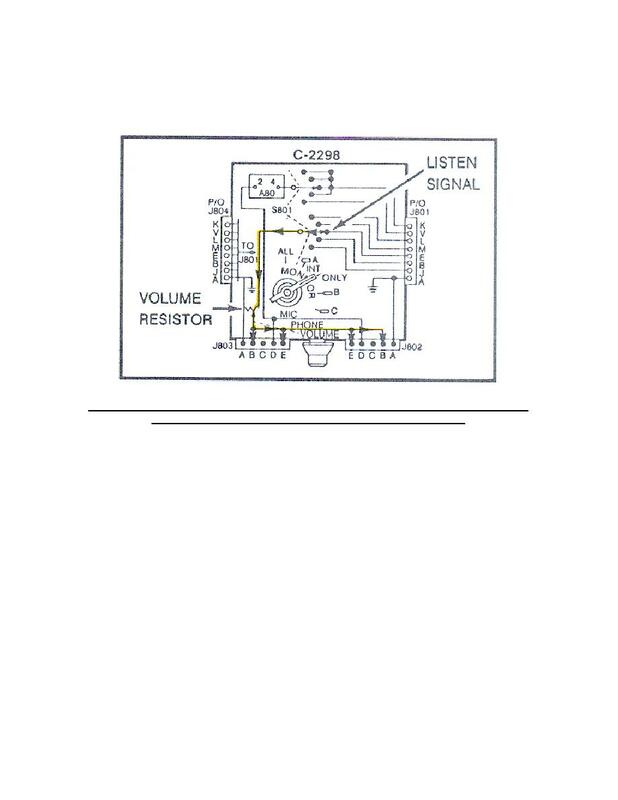 Listen circuit (AC signal) from MONITOR switch through volume control to pins B and E of J802 or J803. Home > Communication Systems Reference and Training Manuals > > Figure 16. Listen circuit (AC signal) from MONITOR switch through volume control to pins B and E of J802 or J803. Figure 14. Listen signal to MONITOR switch. (Figure 16), its strength is increased or decreased by the volume control. volume control to pins B and E of J802 or J803.